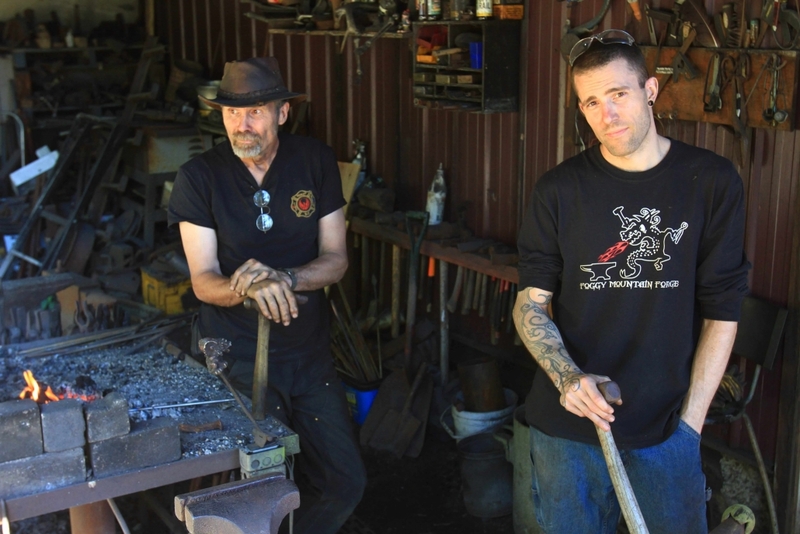 Foggy Mountain Forge is a full-time father-and-son blacksmith duo located on the Western Coast of Vancouver Island, Canada. We are on the popular Pacific Marine Circle Route only a few hundred metres away from French Beach, and we make for an excellent stop for tourists or anyone wanting to come up and see something out of the ordinary. We have done thousands of custom pieces for clients all over the world and would be happy to talk to you and see what we can come up with together, whether you have an existing idea or need help from us to get started. Check out our Commissions page for more information or simply contact us.